Dads get no respect. All too often they’re portrayed in advertising as bumbling, clueless, unengaged, Homer Simpson-esque characters. This hasn’t gone unnoticed: 38% of dads say they do not believe brands accurately depict their role as a parent. 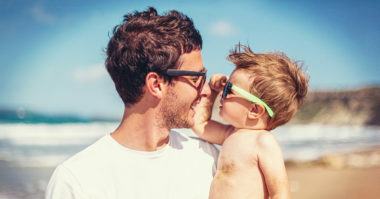 Today’s fathers are much different from the traditional stereotype; dads now spend nearly triple the amount of time caring for their children as they did in 1965, and 94% say being a dad is central to their identity. There are some marketers that do get this. A number of firms have created effective advertising that truly showcases the reality of, challenges of, and importance of fatherhood. What It Is: Delta’s Father’s Day ad from a few years ago showcases a small, joyful, and nearly-universal moment shared between fathers and their children: giving “airplane” rides. 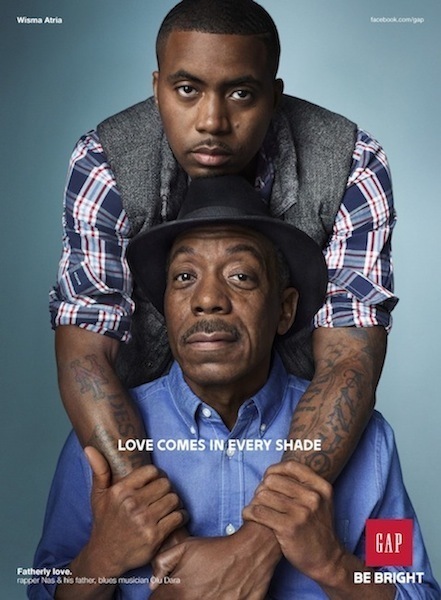 What It Is: For its 2012 holiday campaign, GAP featured rapper Nas and his musician father, Olu Dara, in a print ad with the tagline, “Love Comes in Every Shade.” They also were showcased in a TV spot. Why It’s Great: While the messaging is nice, what really makes this ad work is the image. The simple, intimate shot of Nas with his arms around his dad conveys the power of the father/son bond in a way that words never could. What It Is: With such easy access to the Internet, today’s kids are more likely to turn to Google to answer questions like how to tie a tie, how to shave, and how to ask a girl out than they are to ask their fathers. This ad, which features real families, shows what happens when sons ask their dads instead. Why It’s Great: The spot works so well because the premise is simple, but so powerful. It effectively shows how technology is disrupting the traditional ways that knowledge is passed on, and what’s being lost in the process. What It Is: This ad from Travelers shows the many ways a dad deals with his daughter’s tears—and his own—in the same house, from comforting her as a child to dancing with her at her wedding in the backyard. Why It’s Great: To start with, the ad tugs at the heartstrings exceptionally well (just try to watch it without tearing up). On top of that, it gets across the brand message—the importance of your home to your family—in a subtle, smart way. What It Is: This six-minute long video from VW Denmark portrays a father and son who have had a difficult relationship. During a challenging road trip, the two grapple with a range of issues and the son, now a grown man, must come to grips with what he wants to be like as a dad. Why It’s Great: Parent-child relationships aren’t perfect. Often they’re fraught with complex emotions on both sides. Volkswagen gets credit for boldly exploring this often-neglected truth. What It Is: This ad from HP shows a dad constantly trying to engage his daughter, only to be met with eye rolls and quick hellos. Through it all, he takes photos of his little moments with her. It’s worth watching the full ad for the big reveal, but suffice it to say that his effort is rewarded. Why It’s Great: This ad is another tearjerker, and its effectiveness comes from a common parenting struggle: most of the time it feels like all the work goes unnoticed and unappreciated. 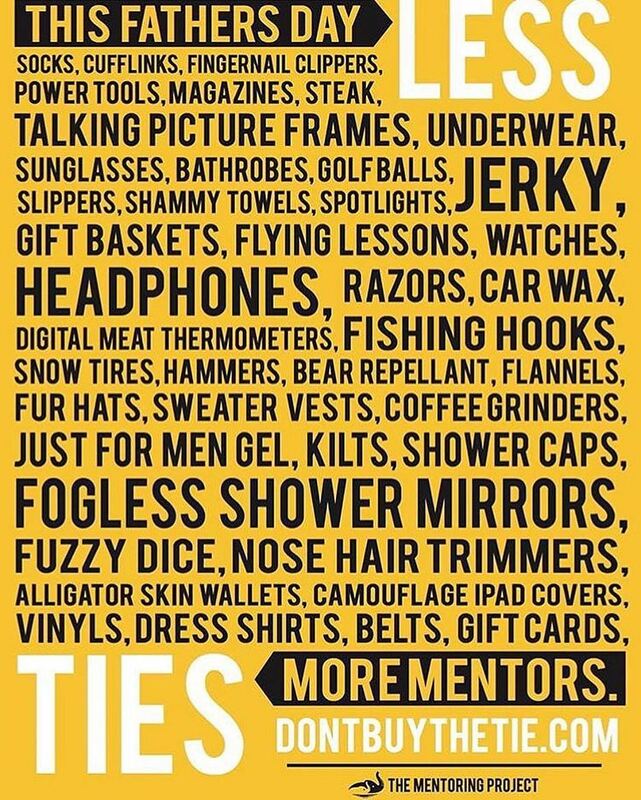 What It Is: The Mentoring Project is a non-profit that connects at-risk kids, many of whom don’t have fathers in their lives, with positive role models. The group’s annual #DontBuyTheTie campaign asks people to forgo giving to the usual gifts and instead to honor their dads by donating to the group. Why It’s Great: The campaign is great because of both its format and its underlying message. 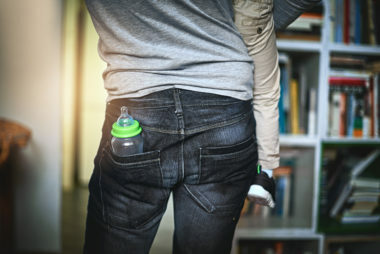 The organization’s social posts take a fun approach to showing that many dads aren’t big fans of their Father’s Day gifts, while also conveying a key point: the dad role is extremely important in a child’s life. What It Is: This ad is a compilation of user-generated videos in which men learn they’re going to be fathers. Some are ecstatic (“What? !”), some can’t believe the good news (“You…pregnant? ?”), and some are too overcome to speak. What It Is: The NFL and Marriott teamed up to have the children of players talk about their dads on camera. The kids covered everything from what they love about their dads to what they think their dads do every day (“He, uh, goes to the office?”). Why It’s Great: The ad works so well because it showcases the universal elements of fatherhood. The kids love their dads for the same reasons that other kids love their dads, and they are just as befuddled as other kids about their fathers’ roles in the grown-up world. What It Is: This 2011 ad from Google starts with a dad setting up a “dear.sophie.lee” Gmail address and then emailing various life moments to it—a photo of her birth, little notes on being a parent, a video of her skiing, etc. At the end, you learn he’s been sending these messages to the account for years, but his daughter doesn’t know it exists: it’s a big, beautiful gift still waiting to be given. Why It’s Great: There are a number of things that have made this possibly the most iconic dad ad of the past decade. It’s beautifully made, showcases Google’s products effectively, and has a narrative arc. Most importantly, it effectively conveys some of the many emotions felt in fatherhood, from extreme nervousness to immense pride.